If you require termite treatment at your home in Vista, California, or a nearby area, contact the experienced professionals at Kilter Termite and Pest Control. We have a reputation for providing highly effective termite control solutions that are tailored to the specific needs of our customers. And, our services are far more convenient than those used by most of our competitors. You can rest easy knowing that, once we’ve performed termite treatment in your home, the infestation will not return. What’s more, our services are backed by a two-year warranty, and we can provide extended service contracts on a biannual or quarterly basis, ensuring you won’t have to deal with termites again. 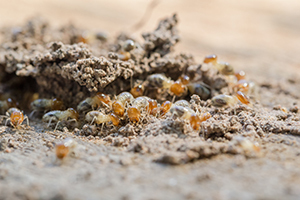 If you’d like to learn more about the termite treatment services that Kilter Termite and Pest Control performs in Vista, CA, contact us today. Also, ask about how we can help restore areas of your home that have been damaged by termites with our wood repair services.